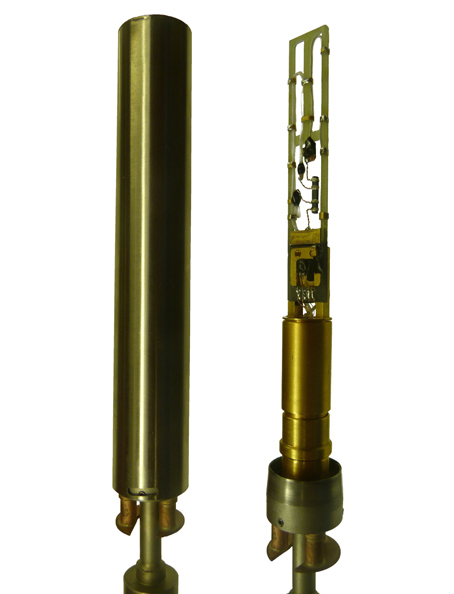 The thermal transport probe measures thermal conductivity and thermoelectric power (defined by the Seeback Coefficient). 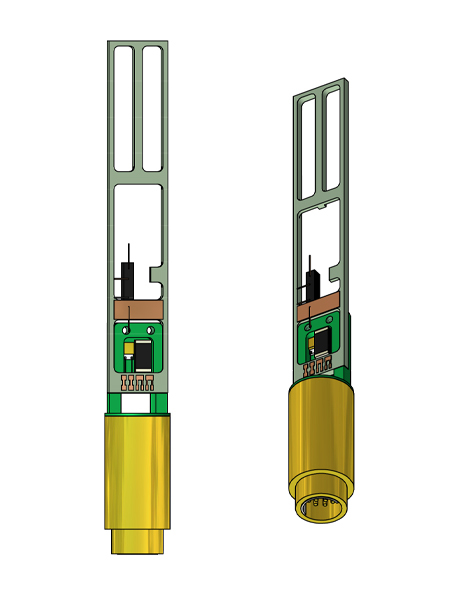 Electrical and thermal contacts are made to opposite ends of the sample allowing for customisation to suit the sample requirements of the user. 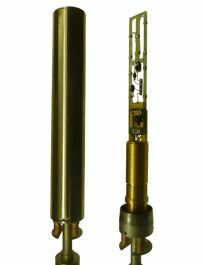 The sample is then mounted inside a vacuum chamber at the end of a specially designed measurement probe. Sample temperature is measured using a calibrated Cernox and the temperature gradient is measured using a sensitive thermocouple. Measurements are made using scanning electronics provided with the system allowing thermal conductivity and thermal EMF to be measured simultaneously together with electrical resistance. The platform is mounted inside a cone-sealed inner vacuum chamber (IVC) at the end of a special measurement probe. The wires entering the IVC are carefully thermally grounded so that the operation of the probe at low temperatures is not compromised.